Note: This story has been updated to correct a description of politician Ahmed Marcouch.We regret the error. Sixteen years ago, when Dutch commentator Paul Scheffer published his "Multicultural Drama" declaring that multiculturalism in the Netherlands had failed, the response was swift and angry. Critics across Europe called him racist, bigoted, nationalistic. Others dismissed his views as mere rants and ramblings of a Leftist in search of a cause. With over 275 people killed in 10 Islamic terrorist attacks since January 2015, Europeans harbor no more illusions about the multiculturalist vision: where immigrants from Muslim countries are concerned, that idealist vision has more than just failed. It has produced a culture of hatred, fear, and unrelenting danger. 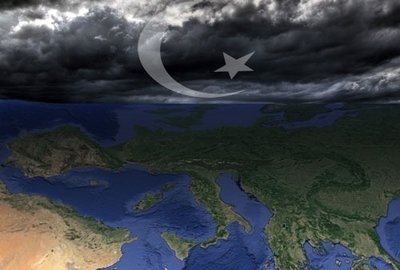 Now, with European Muslim youth radicalizing at an unprecedented rate and the threat of new terrorist attacks, Europe is reassessing its handling of Muslim communities and its counterterrorism strategies and laws. Among the changes being considered are a reversal of laws that allow radical Muslims to receive handouts from the very governments they seek to destroy; restricting foreign funding of mosques; and stronger surveillance on private citizens. Chief among the new counterterrorism approaches is a program to coordinate intelligence data among European Union countries – a tactic that has not been pursued with any regularity or such depth before now. But following the November attacks in Paris, the Dutch intelligence agency AIVD initiated weekly meetings among intel agencies from all EU countries, Switzerland, and Norway, with the objective of sharing information, exchanging new clues, insights, and suspect alerts, and discussing improvements to a Europe-wide system of counterterrorism and intelligence. Through these meetings and the improved shared database, it is now possible for each country to contextualize its intelligence and understand links between individuals and various groups from one city to another – and so, between radicals and radical groups as they pass through a borderless EU. Concurrently, EU members are now beginning to share information about web sites and even details about private citizens where needed. Most countries had been reluctant to make such exchanges, citing both privacy concerns and the need to protect their sources. Other cooperative efforts include an EU initiative begun in February 2015 to counteract Islamic extremist propaganda. The project received a major €400 million boost in June, indicating the high priority Europe now places on fighting recruitment. Earlier this month, Europol began a new effort to screen refugees still awaiting placement in Greek asylum centers. According to a report from Europa Nu, an initiative between the European parliament and the University of Leiden, Europol agents "specifically trained to unmask and dismantle terrorists and terror networks" will be dispatched to the camps to try to prevent terrorists from infiltrating the flood of refugees to Europe. Some EU measures, however, have been based more in politics than counterterrorism, including efforts to crack down on the ability of radical Muslims to benefit from welfare programs. British citizens, for instance, reacted with outrage when it was discovered that the family of "Jihadi John" had received over £400,000 in taxpayer support over the course of 20 years. In Belgium, Salah Abdeslam, the terrorist accused of participating in the Nov. 13 Paris attacks, pulled in nearly €19,000 in welfare benefits from January 2014 and October 2015, according to Elsevier. And Gatestone reports that more than 30 Danish jihadists received a total of €51,000 in unemployment benefits all while battling alongside the Islamic State in Syria. Such concerns have also spread to the United States. Earlier this year, U.S. Rep. Bruce Poliquin, R-Maine, introduced the "No Welfare For Terrorists Act." "Terrorist victims and their families should never be forced to fund those who harmed them," he said in a statement. "This bill guarantees this will never happen." But not all of Europe's new approaches to the terror threat are being coordinated out of Brussels. Many more, in fact, are country-specific, such as England's decision to follow an example set earlier by the Netherlands and Spain, separating jailed terrorists and terror suspects from other prisoners. The measures follow others the country adopted after the July 7, 2005 bombings of a London underground and buses, to criminalize "those who glorify terrorism, those involved in acts preparatory to terrorism, and those who advocate it without being directly involved," the New York Times reported. In fact, prisons worldwide, including in the U.S., have long been viewed as warm breeding grounds for radicals and potential terrorists. Ahmed Coulibaly, the gunman at the Porte de Vincennes siege in January 2015, was serving time for a bank robbery, for instance, when he met Cherif Koauachi, one of the Charlie Hebdo attackers. Both converted to Islam there. It was in that same prison that the two encountered Djamel Beghal, an al-Qaida operative who attempted to blow up the American Embassy in Paris in 2001. Hence many experts now argue in favor of isolating those held on terrorism-related charges as a way to stop them from radicalizing their fellow inmates. Yet British officials have until now resisted creating separate wings for terror suspects, arguing that doing so gives them "credibility" and makes it harder to rehabilitate them. But a recent government report on Islamist extremism in British prisons forced a change in thinking, in part by noting that "other prisoners – both Muslim and non-Muslim – serving sentences for crimes unrelated to terrorism are nonetheless vulnerable to radicalization by Islamist Extremists [sic]." Similarly, France, the site of the worst attacks of the past two years, also balked at first at the idea of separating terrorists from other prisoners, arguing that doing so "forms a terrorist cell within a prison." But the Charlie Hebdo attacks of January 2015 changed all that. Now, officials are even going further, looking at other potential sources of radicalization: the mosques. Shortly after the Bastille Day attack in Nice, Prime Minister Manuel Valls announced plans to ban foreign financing for French mosques as part of an effort to establish a "French Islam," led by imams trained only in France. France hosts dozens of foreign-financed mosques – many sponsored by Saudi Arabia and Morocco – which preach Salafism, an extreme version of Islam practiced in the Saudi Kingdom and the root of much radical Islamist ideology. And according to a new report on counter-radicalization, about 300 imams come from outside France. That same report also calls for "regular surveys" of France's 4-5 million Muslims, according to France 24, in order "to acquire a better understanding of this population in a country where statistics based on religious, ethnic, or racial criteria are banned." Both proposed measures have been met with resistance. The "surveys," as even the report itself notes, are a means of circumventing laws against gathering information on the basis of religious criteria – and so, go against democratic principles. And many French officials also oppose the ban on foreign funding for mosques, arguing that French government intervention in places of worship contradicts separation between church and state. Besides, they claim, radicalization doesn't take place there anyway. But Dutch authorities and counter-extremism experts are not so sure. The announcement earlier this month that Qatar would finance an Islamic center in Rotterdam, for instance, set off alarms even among Muslim moderates, including outspoken Moroccan-born Dutch politician Ahmed Marcouch. There are good reasons for this. The Salafist Eid Charity, which sponsors the project, has been on Israel's terror list since 2008, according to Dutch daily NRC Handelsblad. Moreover, in 2013 the U.S. Treasury Department accused the charity's founder, Abd al-Rahman al-Nu'aymi, of providing funding for al-Qaida and its affiliates, and named him a "specially designated global terrorist." Plans for the center sound much like those of the now-abandoned plans for New York's "Ground Zero mosque," with sports facilities, prayer space, tutoring for students, Islamic child care, and, reports Dutch newspaper Volkskrant, imam training. Yet the center's prospective director, Arnoud van Doorn, a convert to Islam and former member of the far-right, anti-Islam political party PVV, insists that any fears about the project are unfounded. "Our organization has nothing to do with extremism," he told the NRC. "We want only to provide a positive contribution to Dutch society." Notably, though, France's proposal to ban foreign mosque funding and the Qatari backing of the Rotterdam center point to some of the deepest roots of Europe's radical Islam problem, and, despite all the new initiatives now underway, the greatest challenges to ending it. When Muslim immigrants came to Europe in the 1970s, they carved prayer spaces wherever they could: the backs of community grocery stores, in restaurants and tea rooms. But these soon became too small to handle the growing Muslim population. Mosques – real mosques – would have to be built. But by whom? The Muslim communities themselves were too poor. Western governments, wedded to the separation of church and state, could not subsidize them with taxpayer funds. And so the door was opened to foreign – mostly Saudi – investment, and the placement of Saudi-trained and Saudi-backed imams in European mosques. Europe had, in essence, rolled out the welcome mat for Salafism. Now they want to roll it in again. But is it too late? Even as Western intelligence is now uniting to fight radical Islam, Islamic countries are pooling together in Europe to expand it. The result, as Manuel Valls told French daily Le Monde, is that, "What's at stake is the republic. And our shield is democracy." Hence as the number attacks against Western targets increase, many Europeans are coming to understand that preserving the core of that democracy may mean disrupting some of the tenets on which it's built, like certain elements of privacy, for instance, and religious principles that violate the freedom that we stand for . It is, as it were, a matter of destroying even healthy trees to save the forest. But in this tug-of-war between the Islamic world's efforts to shape the West, and Western efforts to save itself, only our commitment to the very heart of our ideals will define who wins this fight. Is it terrrorism only when white folks die? When terrorists from Pakistan attack India, they are called rebels by the western press. Pakistan is getting billions ostenably to fight terrorists. It is simply diverting this money to finance terrorism, particularly aimed at India, under the guise of Kashmir issue. What will Europe and the US do once India disintergrates under this onslaught? Words on top of words, nonsense after nonsense, yet the solution is so very simple. You wish to come and live in our country? If your application fits the requirements we seek,then you are admitted. However you will obey all our laws, failure to do so will result in IMMEDIATE return to the country you have left. Even if they have to rely on Saudi or other foreign funding to build mosques, I hope the Europeans will at least find a way to have European-trained and -identified imams running the mosques. The latest talking point emanating from the DNC is that terror is not an existential threat for the US. Thus, all these solutions--disrupting the tenets on which democracies are built--are seen coldly as an attempt by the Right to gain control and destroy our cherished freedoms. This man Obama has brought over 100,000 of these people a year to America. When warned this year to stop this flow he went ahead and brought another 10,000 and will continue til Americans can get him out of our WH. Out of that 10,000 Obama brought only 52 Christians the bulk always Muslims and the UN has even said there is a Christian Genocide going on but he doesn't care. The American people are sick and tired of a rogue president putting our lives in danger and this is why Trump so popular. I watched Europe as these thousands of men, 75% ran into Europe from the start and I knew something wold give. Good for Europe now pray for America.